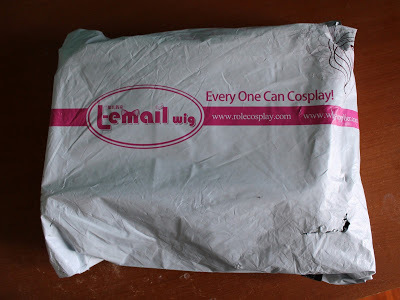 This is another L’email wig that I got with the last one I reviewed! I got it from wigs store online and I recorded an unboxing video for it as well. It came in the same package as the other one, so I advise you to check out the other video too! 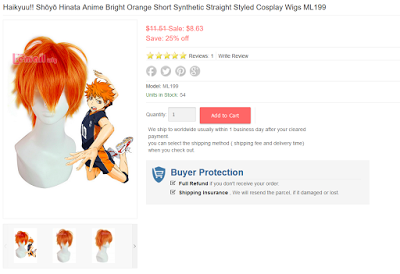 This wig is listed for Hinata from Haikyuu! but it isn’t styled, so you’d have to style it yourself. This was perfect for me because I didn’t really want a spiky wig. It arrived safely packed as usual, with a wig cap. It took it about 2-3 weeks to arrive! The wig has a fair amount of hair, but not as much as the other one. The hair is pretty short – I was actually hoping to use it for Misty and I won’t be able to do so. 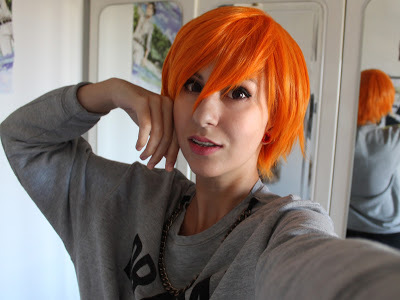 However, it’s a very versatile wig and I’ll still use it for other characters! The fiber is smooth but thicker than the other one. This makes it easier to style, since the hair holds in place a lot better. It’s heat resistant as well and although there isn’t that much hair to work with you can still carefully spike it. The color is really pretty and it doesn’t look like a ten dollar wig. It’s a very light orange and it’s not too bright or “fake looking”. I think the color is the best aspect of this wig honestly! It’s a bit tight for me because I have a big head but I’m quite used to it and it doesn’t really hurt me so it’s fine. The customer support of this store is super nice, and I would definitely recommend it! 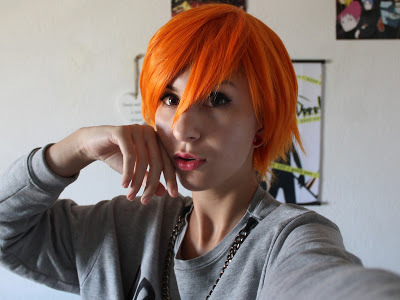 Overall, I’m really pleased with this wig! Although there’s not much room for cutting, I don’t think I’ll need to, and I think it’s really fair for the price! The color is super pretty as well and I’m very happy with what I got! 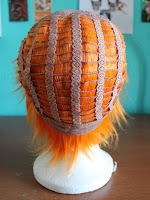 This entry was posted in Buy Cosplay Wigs, Fashion Wigs, Human Hair Wigs, L-email Wig review, Synthetic Lace Wig, Wigs, Wigs Hairstyle Selections.